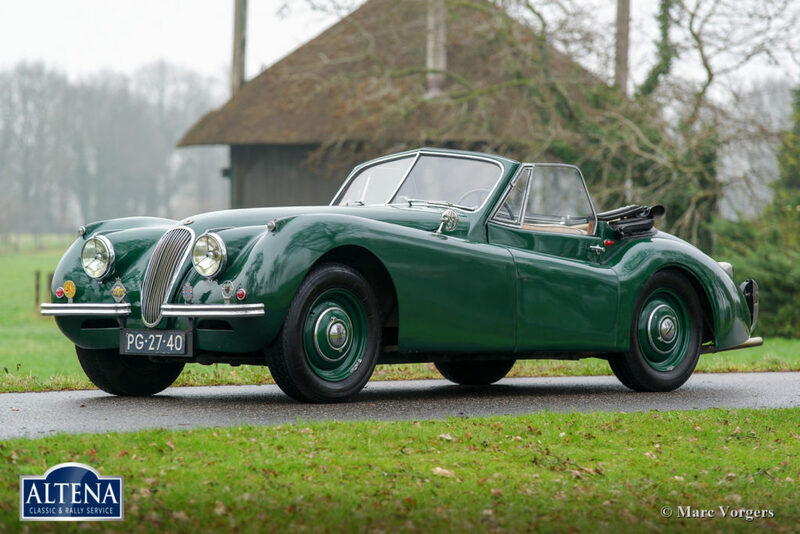 Jaguar XK 120 DHC, year 1953. 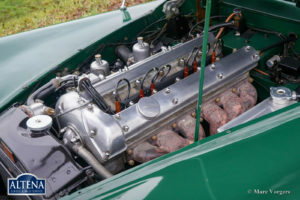 Chassis number S67751X, engine number W8957-X, gearbox number JL1734X; Matching Numbers. 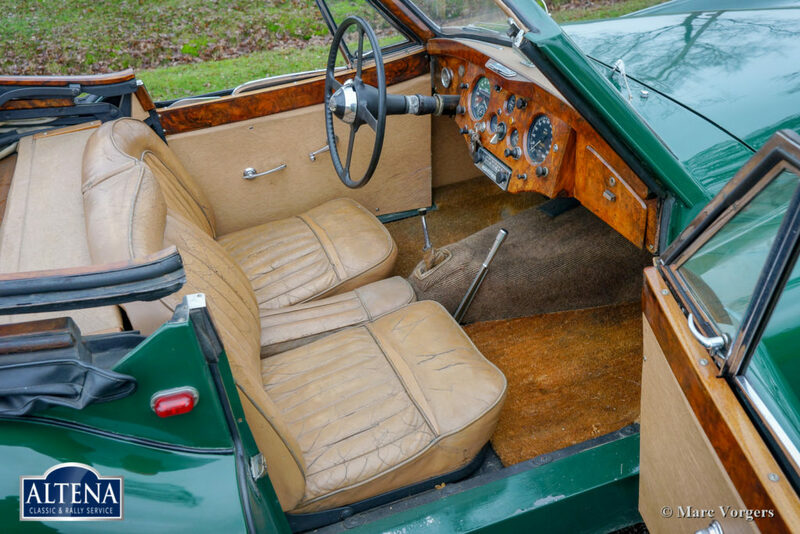 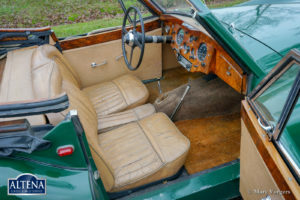 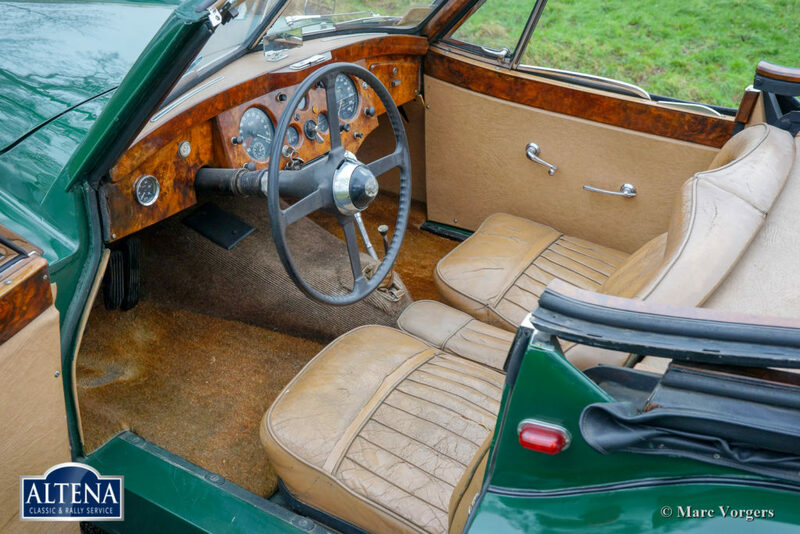 Colour green with a beige leather interior and a black vinyl hood. 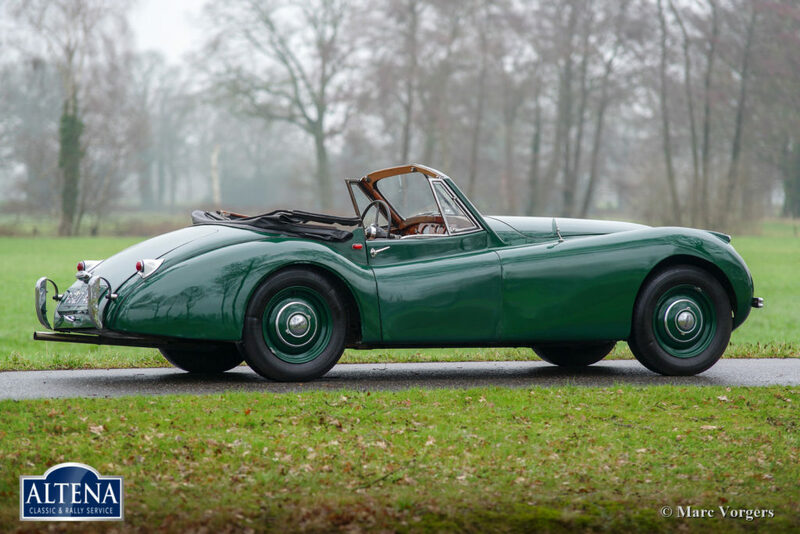 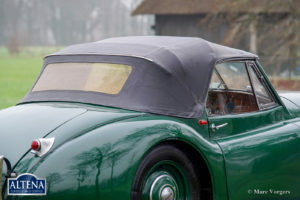 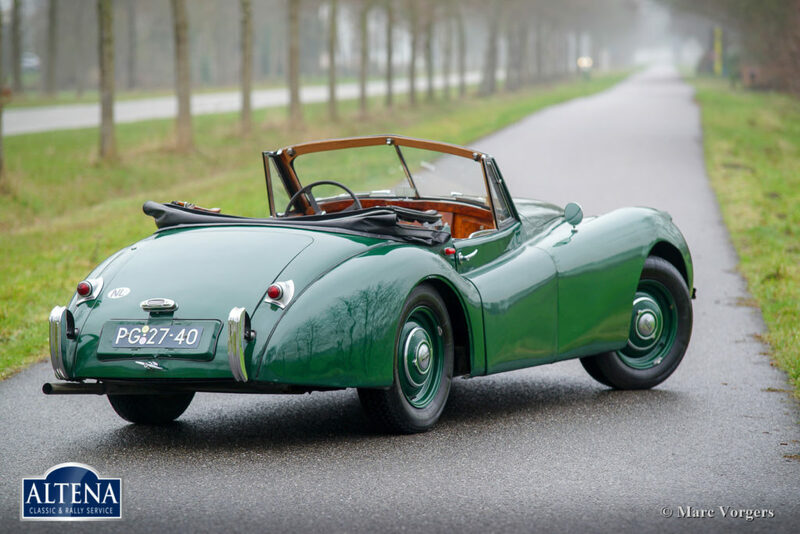 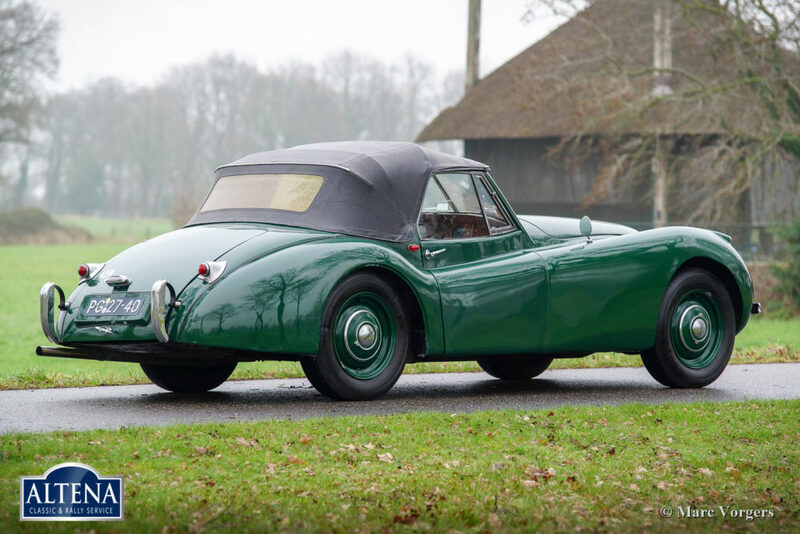 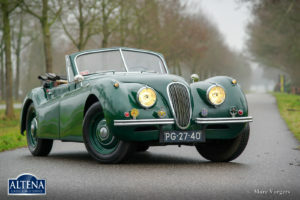 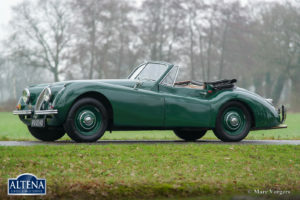 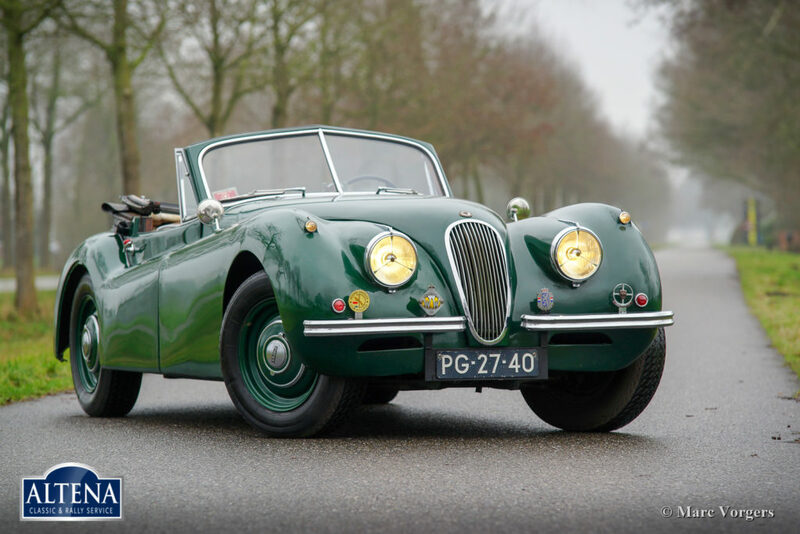 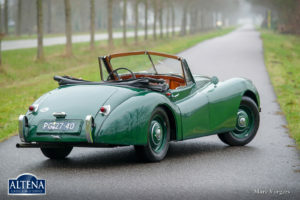 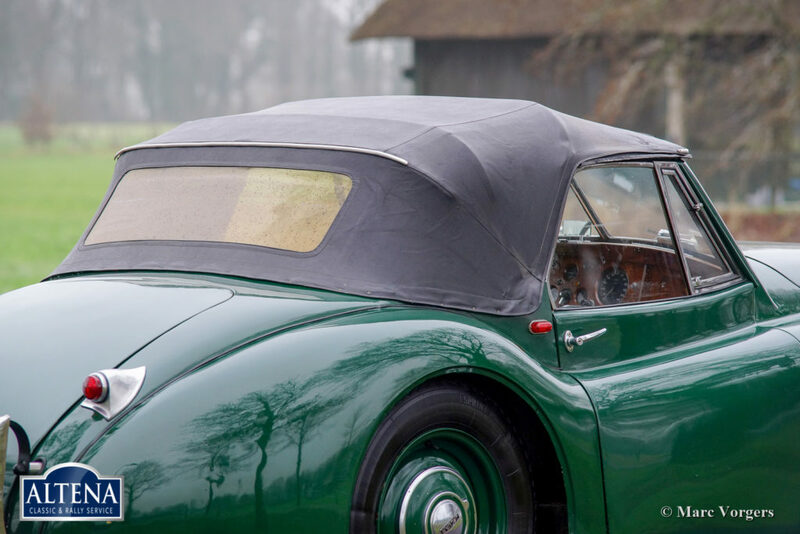 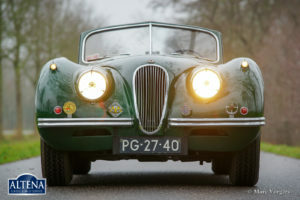 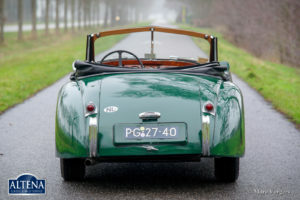 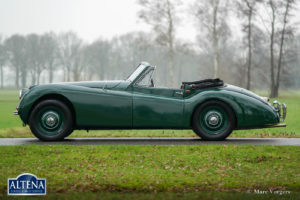 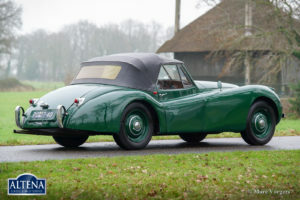 This Jaguar XK 120 DHC (Drop Head coupe) was sold new in the Netherlands. 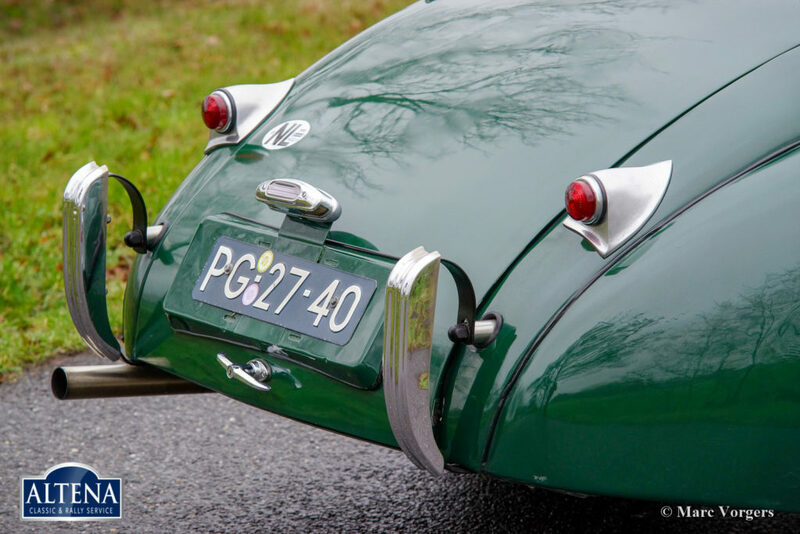 The car still carries its original 1953 number plates! 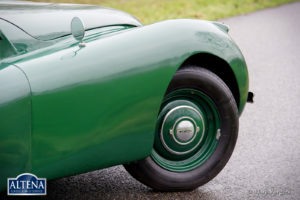 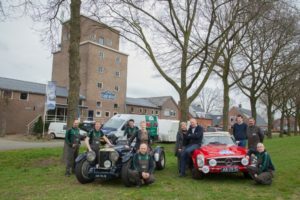 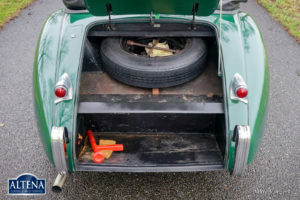 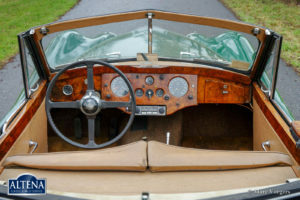 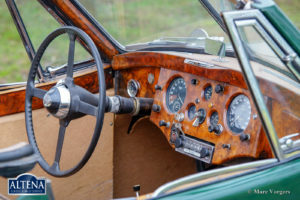 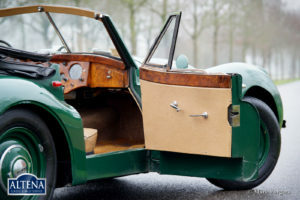 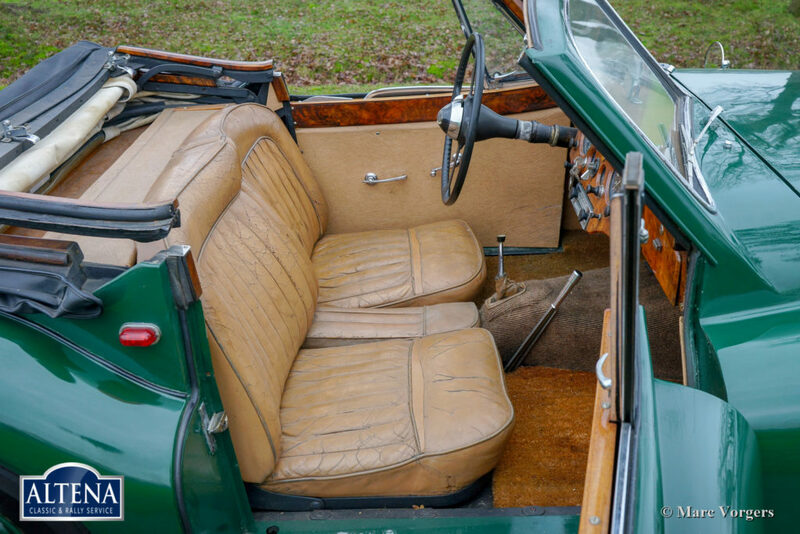 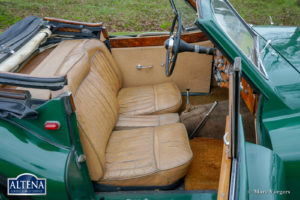 The automobile was never restored, only re-painted green in the past and the mechanicals have been partially overhauled in the past. 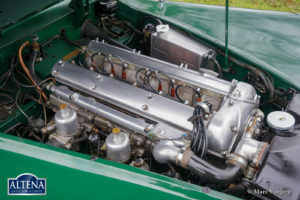 Photos of the overhaul works are present. 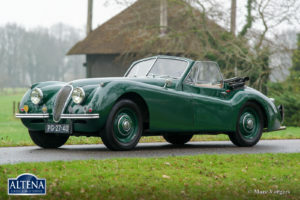 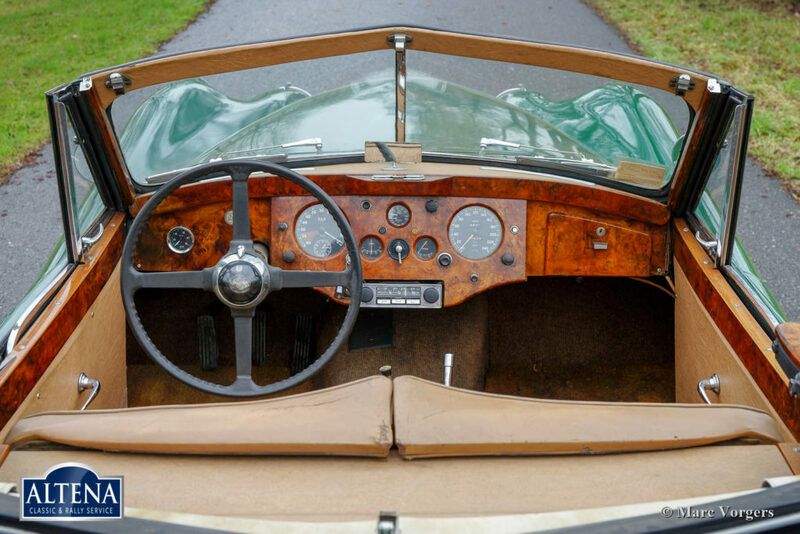 This Jaguar XK 120 DHC is optically in a fair condition, mechanically and technically the car is in a very good condition. 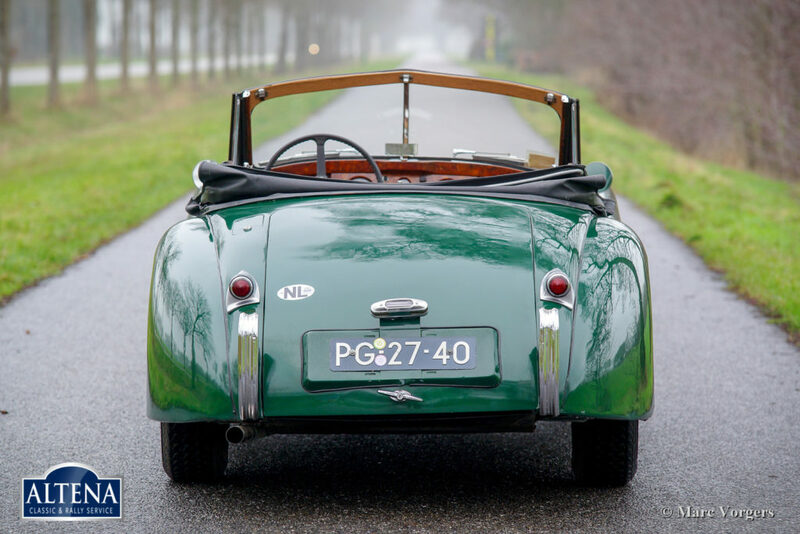 The car comes with a valid Dutch APK (MOT / TÜV) report. 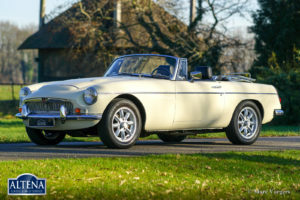 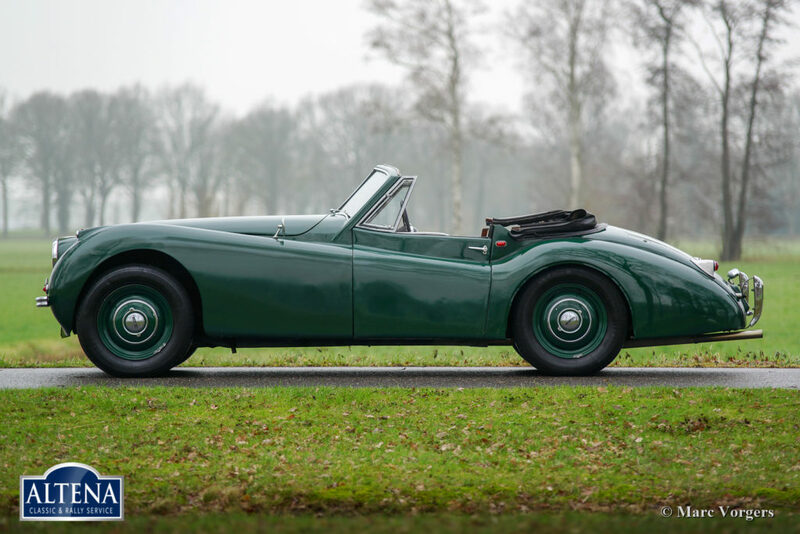 This super original Jaguar comes with a complete history file, all the previous owners are known. 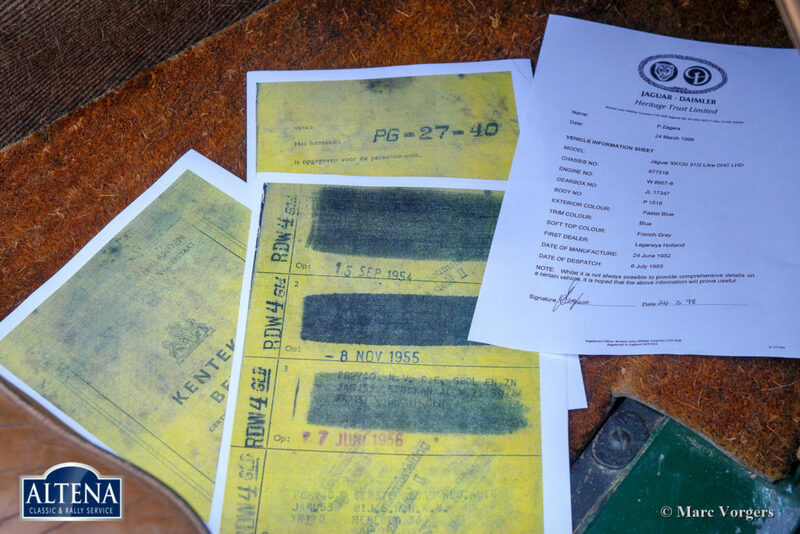 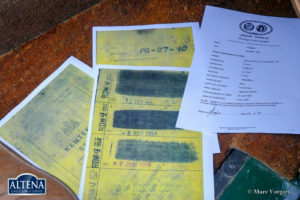 A Heritage certificate is present. 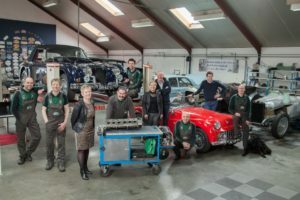 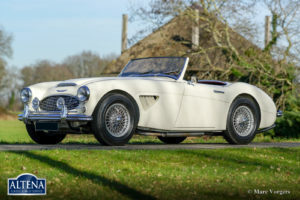 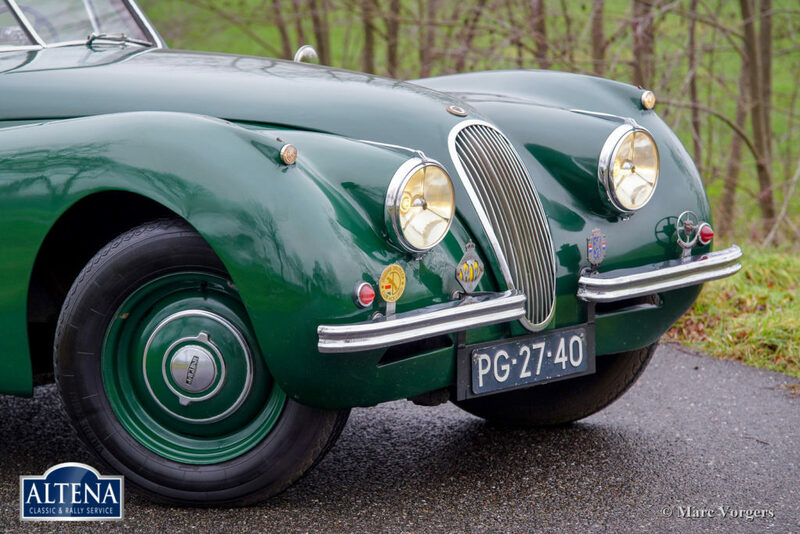 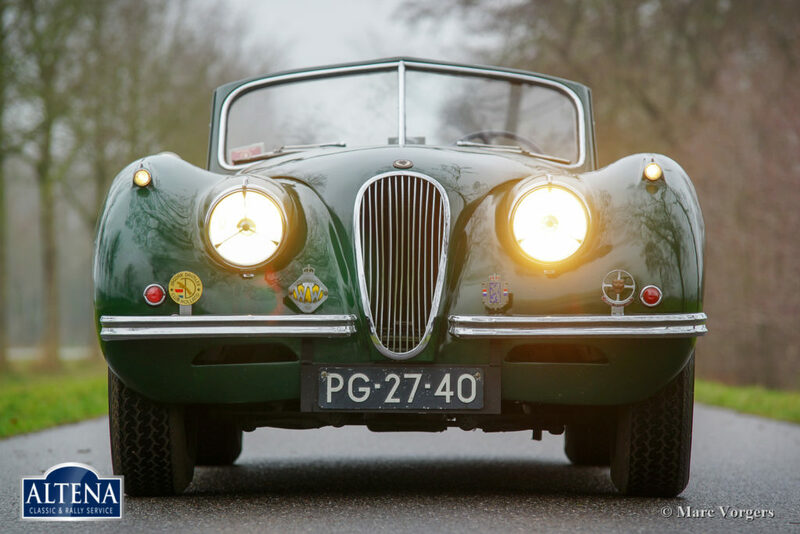 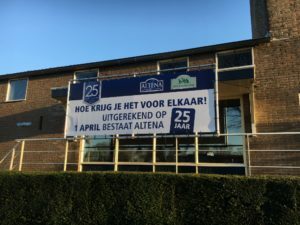 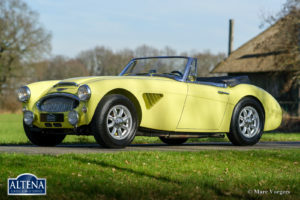 Only a handful of Jaguar XK 120 cars were sold in the Netherlands, this XK 120 ‘survivor’ must be of great interest to a Dutch Jaguar enthusiast or collector.